Armthorpe Welfare are without a win in seven games following a 6-3 defeat at Nostell Miners Welfare. Mike Carmody’s side fought back from going two down after just four minutes to go in at the break level at 2-2 before the hosts took control once more with two goals early in the second half. Welfare reduced the arrears midway through the half but Nostell made sure of the points with two goals in the last ten minutes. A fourth defeat in five this year saw Armthorpe drop to 15th in the Division One table. Bill Mole broke the deadlock with a superbly struck 25-yard freekick and two minutes later Jack Owen cut inside and finished neatly. 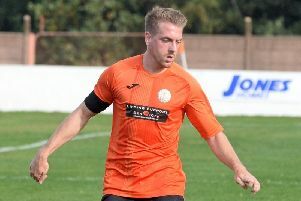 Welfare halved the deficit on 37 minutes when Gracjan Klimczak forced the ball over the line after Luke Williams’ firmly struck shot had been saved by the home goalkeeper. A minute before the break Wayne Brook converted a penalty after Williams had been brought down to level the scores. However, Nostell got their noses in front again just four minutes into the second half when Liam Owen scored from close range after Alex Ward spilled a cross. The home side went 4-2 up after 58 minutes when Liam Owen pounced on a loose ball after Ward had done well to push a shot away. Brook scored his second of the game with a good finish midway through the second half to raise hopes of another comeback. But Welfare’s hopes of getting anything from the game faded when Leon Wood was sent off with 15 minutes remaining for a high boot. Jack Owen gave the home side a two-goal cushion for a third time from the penalty spot on 80 minutes. The result was put beyond any doubt when, three minutes from time, Liam Owen completed his hat trick with a deflected shot from the edge of the box. Dronfield Town visit Church Street on Saturday looking for a third successive away victory.